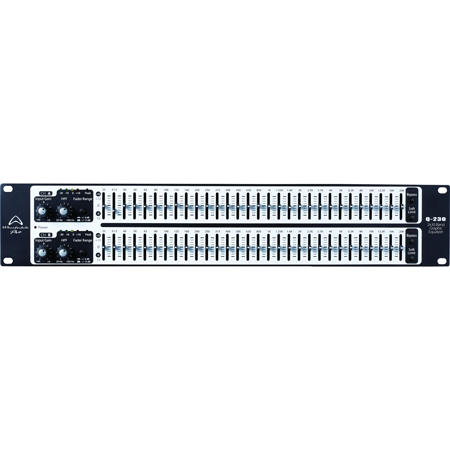 The Q-230 is a dual channel 30 band 1/3 octave graphic equalizer using constant Q filters to maintain even bandwidth irrespective of gain ensuring transparent adjustments even with extreme gain settings. 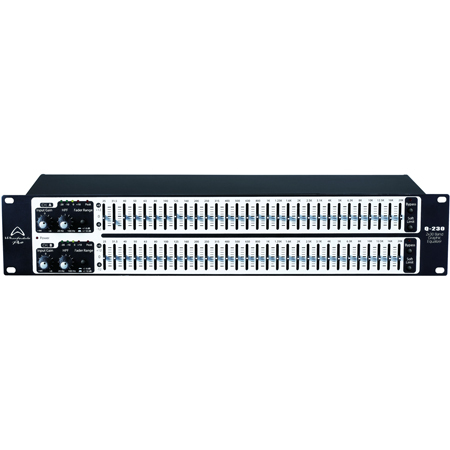 A fader range switchable from 6dB to 12dB helps you to get the best possible sound from your rig in the situation you are faced with. 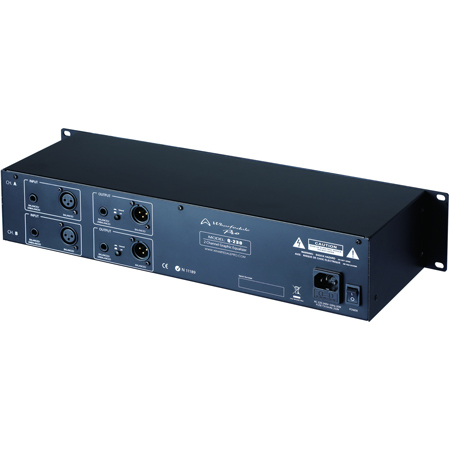 A sweepable 40Hz to 100Hz 12dB/octave HPF allows accurate removal of unwanted low end rumble that can in turn increase overall system headroom. 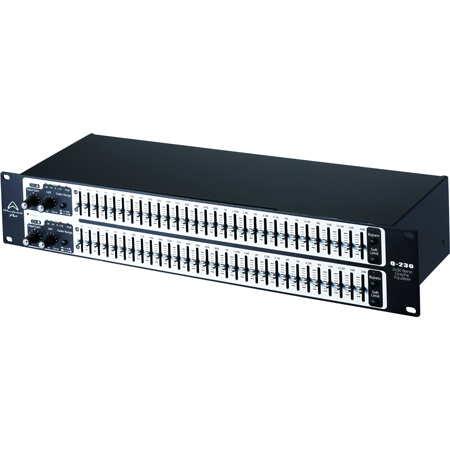 The Q-230 is housed in a 2U 19” rackmount chassis and and has inputs and outputs on XLR and 1/4” TRS balanced / unbalanced connectors. Ground lift switches can eliminate any earth loop or hum issues. Power is supplied via an IEC connector.